INDUSTRIAS ALIMENTARIAS DE NAVARRA, S.A.U. 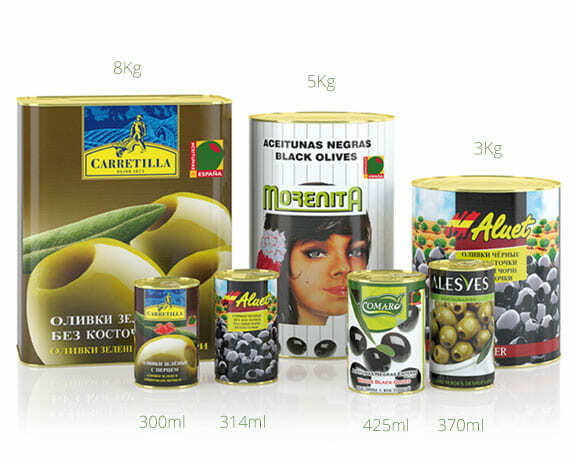 We are one of Spain’s biggest producers and exporters of canned vegetables. A wide range of products – leaders in their respective segments – are processed in our plants: table olives, asparagus, ready meals, piquillo peppers, crushed tomato, pizza sauce and tomato sauces, among others. Black and green table olives are our star product for export, and we currently market them in more than 50 different countries. Since 2003, we have a new factory in the province of Cáceres which has the most modern technology in the sector and a nominal production capacity of 24,000 tonnes of olives per year. We produce all the presentations shown on this catalogue in all formats and brands, INCLUDING YOUR BRAND. Black 180/220 Whole, Pitted, Sliced, in Halves and Wedges. Green 240/260 Whole, Pitted, Sliced. Stuffed green 280/320 Anchovy, Pepper, Lemon, Cheese, Almond, Salmon, Tuna and others. In addition to its own brands of olives, IAN has a high degree of specialisation in the development of private brands. We place at your disposal our wide experience in the supply of importer brands and distribution brands in the five continents. Since 1975, we have been processing black and green olives in our COMARO factory in the province of Cáceres in all types and formats: whole, pitted, sliced, in halves, in wedges, etc. 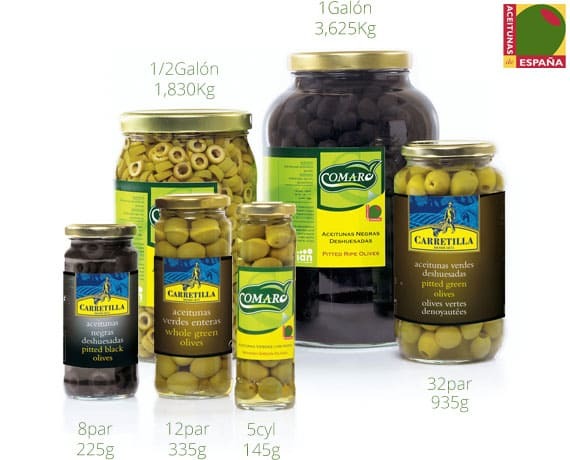 Meanwhile the factory in the province of Valencia produces green olives specifically of the Manzanilla variety: whole, pitted and in a wide range of paste fillings: anchovy, pepper, lemon, cheese, almond, tuna, salmon, prawn, etc. We offer personalised solutions tailored to the customer’s needs.